October 15 is national White Cane Awareness Day. Here are some helpful resources to learn more about the white cane. Please be sure to share this information with friends, family, co-workers, and others! 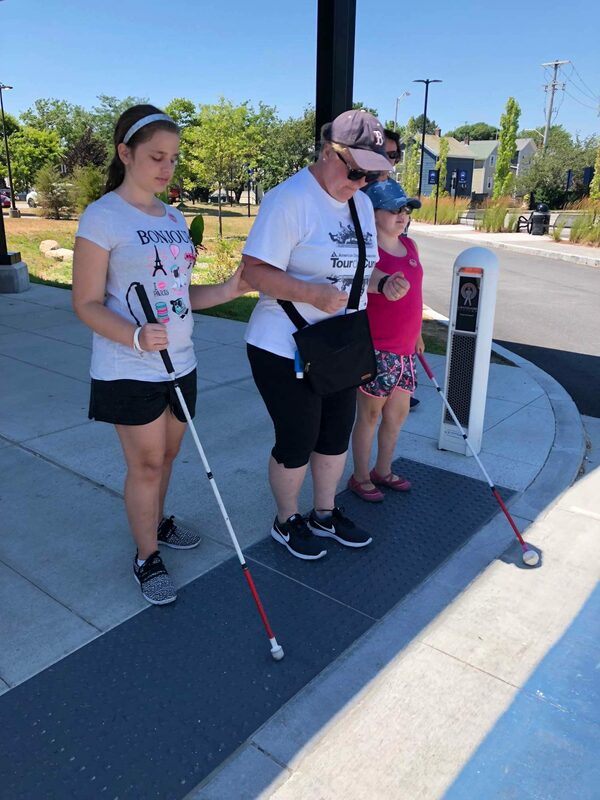 During the early 1960’s, several state organizations and rehabilitation agencies serving the blind and visually impaired citizens of the United States urged Congress to proclaim October 15th of each year to be White Cane Safety Day in all fifty states. This event marked a climactic moment in the long campaign of the organized blind movement to gain state as well as national recognition for the white cane. On October 6, 1964, a joint resolution of the Congress, HR 753, was signed into law authorizing the President of The United States of America to proclaim October 15th of each year as “White Cane Safety Day.” The resolution read, “Resolved by the Senate and House of Representatives that the President is hereby authorized to issue annually a proclamation designating October 15th as White Cane Safety Day and calling upon the people of the United States of America to observe such a day with appropriate ceremonies and activities.” Within hours of passage of the congressional resolution, President Lyndon B. Johnson went down in history as the first to proclaim October 15th as White Cane Safety Day.